LACLA is proud to have celebrated its 1st Annual Cine Nepantla program featuring the screening of the documentary, The Rise and Fall of the Brown Buffalo, directed by Phillip Rodriguez, performances by San Cha, Xitlalic Guijosa-Osuna, Féi Hernandez, and a discussion moderated by Dr. Gilbert Cadena with producer Ricardo Lopez. 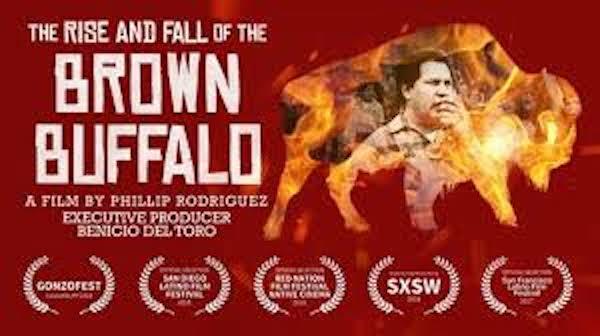 The Rise and Fall of the Brown Buffalo is a documentary film about the life of radical Chicano lawyer, author and countercultural icon, Oscar Zeta Acosta — the basis for the character Dr. Gonzo in "Fear and Loathing in Las Vegas," written by his friend, legendary journalist-provocateur Hunter S. Thompson. Channeling the spirit of the psychedelic sixties and the joyful irreverence of “Gonzo” journalism, the film shows Acosta’s personal and creative evolution play out against the backdrop of a society in turmoil. Actors Jesse Celedon and Jeff Harms portray Oscar Zeta Acosta and Hunter S. Thompson, while an ensemble of performers inhabit a collection of friends, foes, and fellow travelers in a series of playful recreations that go beyond a mere presentation of facts and point us toward a deeper truth. Director/Producer/Writer: Phillip Rodriguez. Cinematographer/Editor/Animator: Claudio Rocha. Writer: David Ventura. Executive Producer: Benicio Del Toro. Producer: Alison Sotomayor. Associate Producer: Ricardo Lopez. Original music by Alejandro Cohen and Aaron Drake. Cast: Jesse Celedon and Jeff Harms. On behalf of LACLA, we'd like to thank all those who participated in the 8th Annual Cine Sin Fronteras Program. This year's program featured three experimental films from México, including Relato Familar, Coyolxauhqui, and El Sonido que vemos: CDMX. The films are provided courtesy of their filmmakers. This year's program featured the Brazilian-American drama, Kiss of the Spider Woman , directed by Brazilian director Héctor Babenco. An instant classic, director Hector Babenco’s remarkable film was a sophisticated and high-profile queer triumph in the midst of the conservative 1980s. In an unspecified Latin American country, two men share a prison cell: one (Raul Julia) incarcerated for his leftist militant activism, the other (William Hurt, in an Oscar-winning performance) for his dalliance with an underage boy. In close quarters the two slowly find common ground. Seeking spiritual escape, Hurt’s character enacts scenes from a favorite film, actually a Nazi propaganda piece, evoking the eponymous “spider woman” (fantastically enacted by Sonia Braga) who comes to personify and propel the intensity of the passions that have brought the men to this hellish existence. Producer: David Weisman. Director: Hector Babenco. Screenwriter: Leonard Schrader. Based on a novel by Manuel Puig. Cinematographer: Rodolfo Sanchez. Editor: Mauro Alice. Cast: William Hurt, Raul Julia, Sonia Braga, José Lewgoy, Milton Gonçalves. 35mm, color, 119 min. Read exclusive Program Notes by María Elena de las Carreras, PhD. There was a pre-screening discussion with the Oscar-nominated producer of the film, David Weisman. Weisman is also known for the films Naked Tango, Shogun Assassin, and Ciao! Manhattan. You can view photos from the event on our Flickr Page. Thank you to everyone who participated in LACLA's 11th Annual Student Film Festival in May 2018! LACLA provided each student in the program with a commemorative t-shirt, a $25.00 stipend to directors, and a free one-time admission to the Japanese American National Museum. A light lunch and refreshments were provided during the program’s intermission. Check out the photo recaps of all the events on our Flickr page! 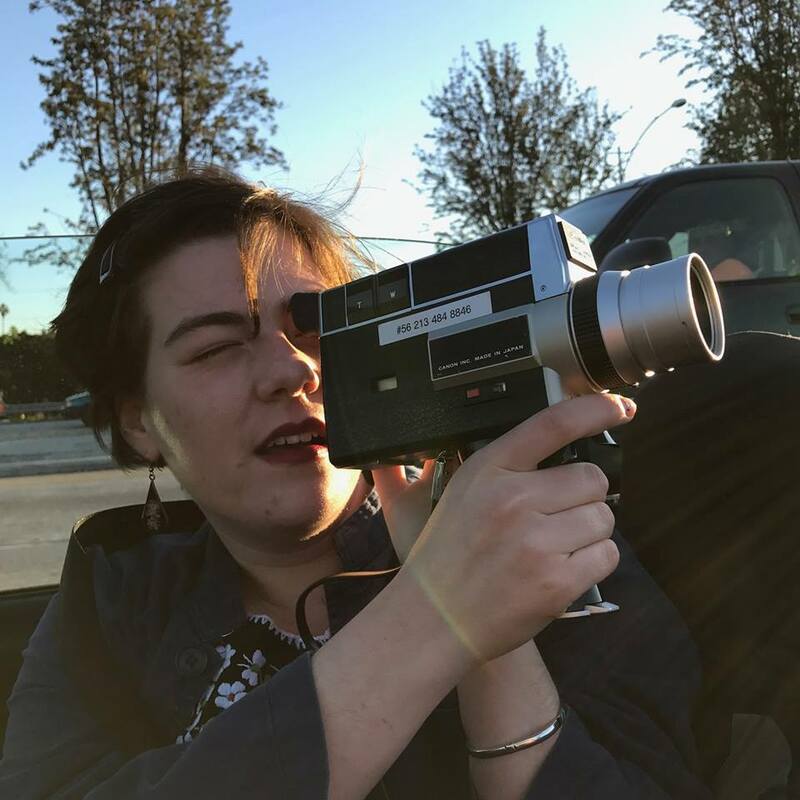 Three students were each be awarded with a Panasonic HMC150 camcorder donated by the Media Studies Department at Pitzer College and a $150 gift card to Samy’s Camera for the categories of Best Fiction Film, Best Documentary Film, and Most Creative Film. I'm a filmmaker and I'm from LA. I started making movies in high school and immediately ran with it because it was the coolest thing I had ever done. Not too long after that, I realized how important and how impactful filmmaking is to us all and decided to hone the craft to spread my own messages, thoughts, and world views. Director/Writer from North Carolina. Residing in Los Angeles. My passions truly lie in creating thought provoking and unique films, commercials, and music videos. Composing striking, engaging images, and molding worlds that allow the viewer to be excited to explore their own. 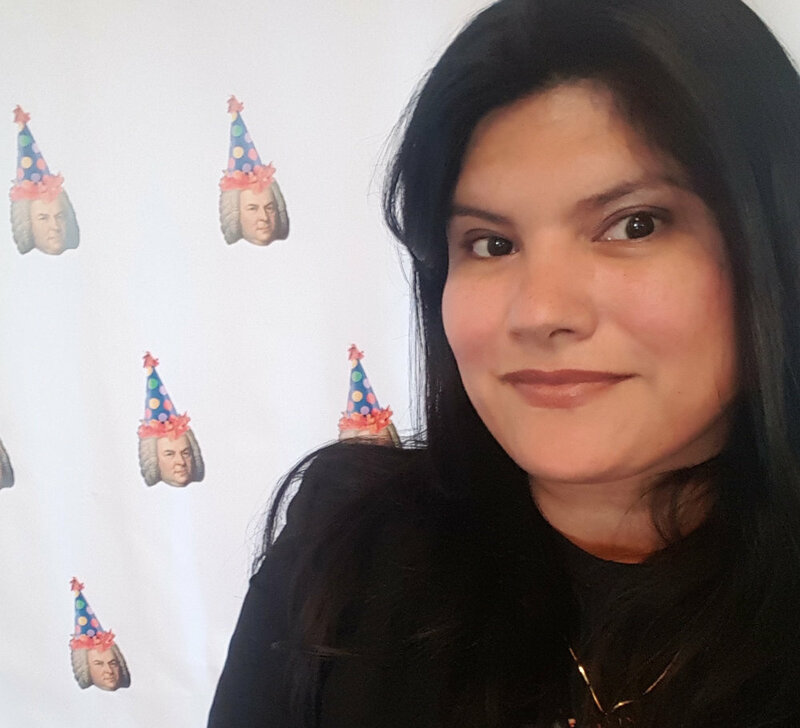 Lorena Salazar Zermeño, M.A., enjoys Program Development for Film/Art/Sound projects. In 2018, she worked alongside the 10 hour Bach Marathon at Union Station expansion efforts to include the Moby Arts Bach Pop Up! She Co-produced, a three night concert series for Studio Sessions Live with Travel Tips for Aztlan at Civic Center Studios. Previously spent 18 months rebranding a Los Angeles Film Festival, that included a second festival in the Mission District, San Francisco. Akhil Gopal is a composer for film & TV based in Los Angeles. He currently composes, orchestrates, and edits music for "Pokemon the Series: Sun & Moon" on Disney XD, among other projects, including an upcoming PBS documentary and several short films in the festival circuit. He is passionate about jazz, languages, justice, and bringing stories to life with music. Independent filmmaker Ann Kaneko is known for her personal films that weave her intimate aesthetic with the complex intricacies of political reality. Kaneko poetically probes the intersection where power impacts the personal, and her films include A Flicker in Eternity; Against the Grain: An Artist’s Survival Guide to Perú; Overstay and 100% Human Hair. She graduated with an MFA in film directing from UCLA and currently teaches Media Studies at Pitzer College. Penelope Uribe-Abee is from Los Angeles is a recent graduate of UCLA's undergraduate art program. She is an art worker/educator and makes videos and films. She has worked at a number of art institutions across the city, including: Plaza de la Raza, MOCA, The Fowler Museum and the Echo Park Film Center.